Purdey’s PAWS Awards 2013 – the results! I’m sure you’ll all have been on tenterhooks, awaiting the results of the PAWS Awards 2013. I am delighted to announce that I have been voted Best Actress by an overwhelming majority (well, a slight margin) for my starring roles in A Passage to India and Jaws 2. Ponyo has won Best Supporting Actress for her natural talent in The Hangover; this demanding role required a lot of lounging, a discipline which I believe she is continuing to practise on a daily basis. Here are some photos of me and Ponyo receiving our coveted trophies. Thank you for your votes! Oh, how unexpected! I’m overwhelmed! 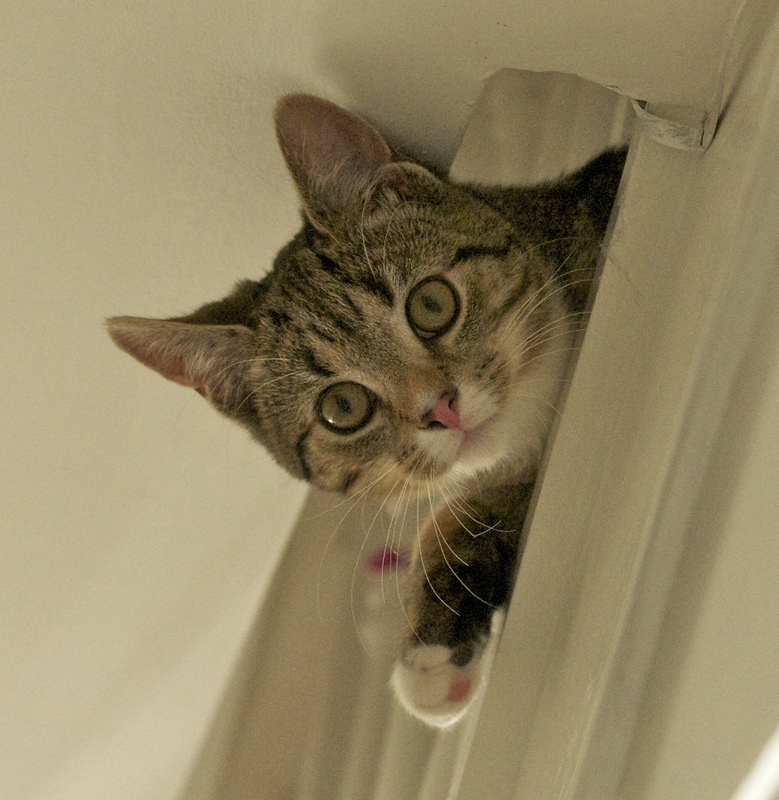 Glory is at the tips of my whiskers… time for Purdey’s PAWS Awards 2013! Hooray and congratulations both stars! Purdey and Ponyo send their thanks! all together now – awwwwww!!! 🙂 Purdey will be unbearable now she’s been spotted by a ‘proper’ movie blogger! Thanks for your comment! Congratulations Purdey on another award! Great consistency in performance. Jazz would like to know whether the red carpet was rolled out for the winners? I love the pic of Ponyo looking bewildered by her award or is it her disparaging look? Purdey has asked me to convey her thanks! Sadly, there was no red carpet. I am sure Jazz will be disappointed with the standard of event management over here. Ponyo does a good line in disparaging looks… there’s more than a bit of the aristoc(r)at in there somewhere!